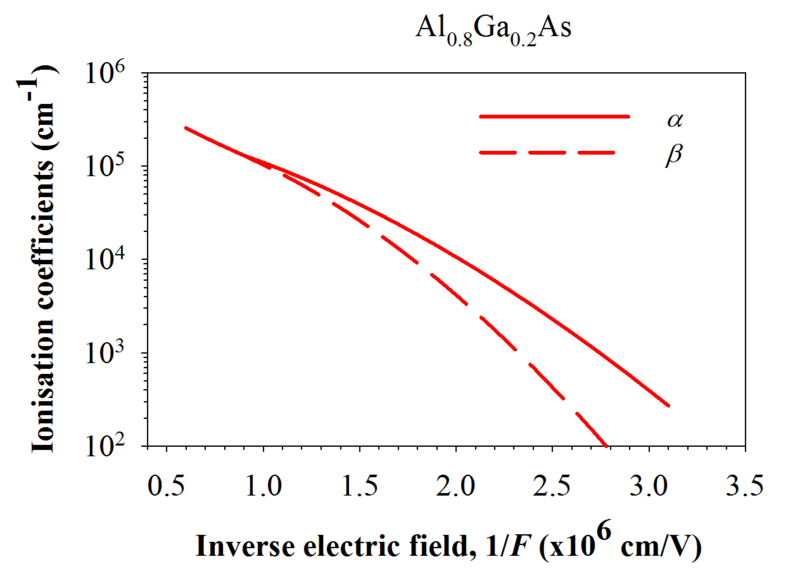 The figure shows the impact ionization coefficients for the III-V ternary semiconductor material, Aluminium Gallium Arsenide (Al0.6Ga0.4As and Al0.8Ga0.2As), as a function of inverse electric field at room temperature. These ionization coefficients were obtained from photomultiplication measurements undertaken on a range of PIN and NIP diodes of different avalanching widths. The Al0.6Ga0.4As data is taken from Plimmer et. 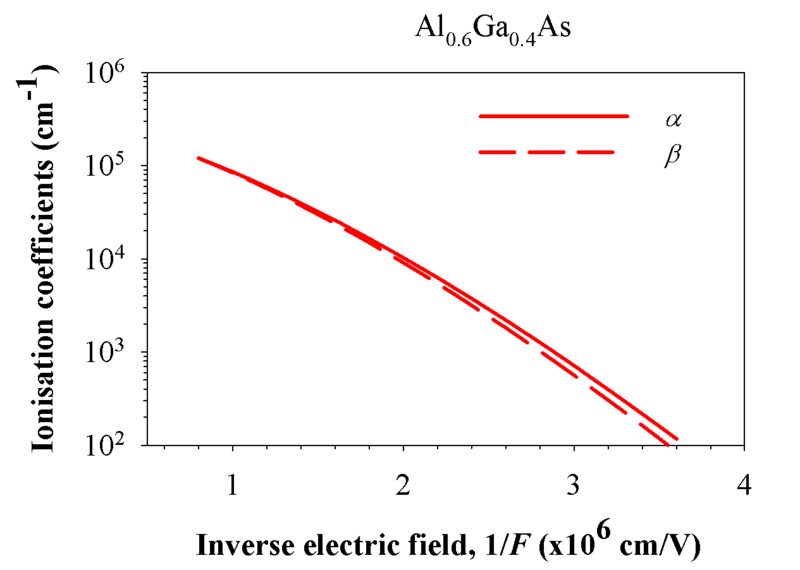 al.5 while the Al0.8Ga0.2As data is from Ng et. al6. Details of ionisation coefficients over a wide electric field range can be found in Cheong et. al.1 for AlGaAs and other popular semiconductor materials.